If you are a SharePoint Add-in or App developer, you could have probably come through this issue atleast once. "Sideloading of apps is not enabled on this site." Sideloading is a technique that most of the app vendors allow in order to test or debug the apps. In other words, it means deploying an app with a development tool rather than going through the correct secure procedure. Sideloading is available with all the smartphone platforms including Android. When you are developing a SharePoint Add-in, you need to test the Add-in prior to do a proper release. There is a default site collection template that is known as "Developer Site" which allows you to sideload add-ins from Visual Studio rather than putting it to an app catalog or online store. But if you attempt to deploy an add-in to another site with a different template, then you may encounter the issue which is highlighted above. Now we have two options. The preferred option is to change the deployment target to a developer site. 5,000 is a familiar number for anyone who had more than 5,000 records in a SharePoint list. List View threshold is something that many of us have faced and wanted to get rid of it by expanding. But then again we think about the best practices and the good it does. So, we often end up not increasing it, but creating some indexes on the columns. The problem is many of us did not know this can be done. Even I did not in the beginning. I am sure many of us still do not know. Microsoft has figured out there are many among us who do not do it and have introduced something that will make the job easy. 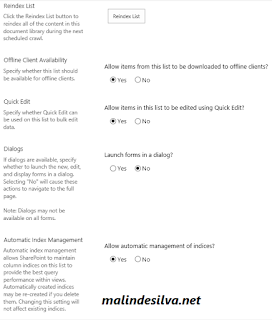 The good thing is SharePoint can make note of every query we make and find the columns that need to be indexed. This new feature is called Automatic Index Management. Here are some characteristics on it and how it functions. What is Automatic Index Management? 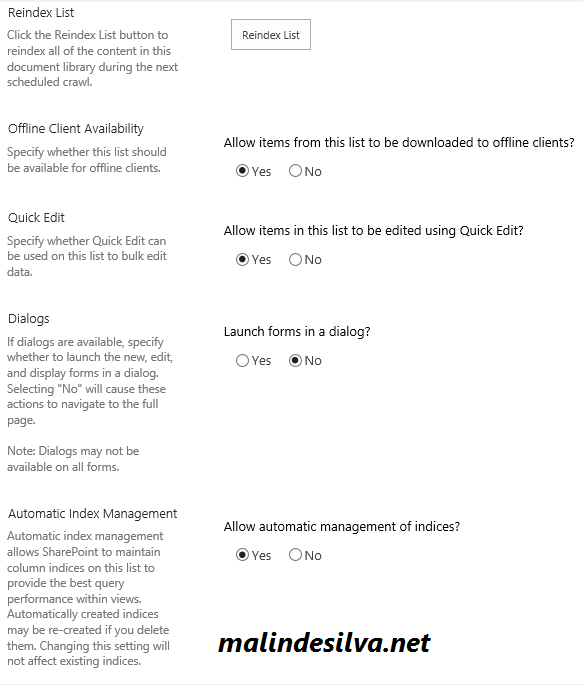 It is a setting that is by default enabled for SharePoint lists from SharePoint 2016. It creates automatic indexes for the SharePoint lists by evaluating the queries and other concerns that matter most for improving the performances.